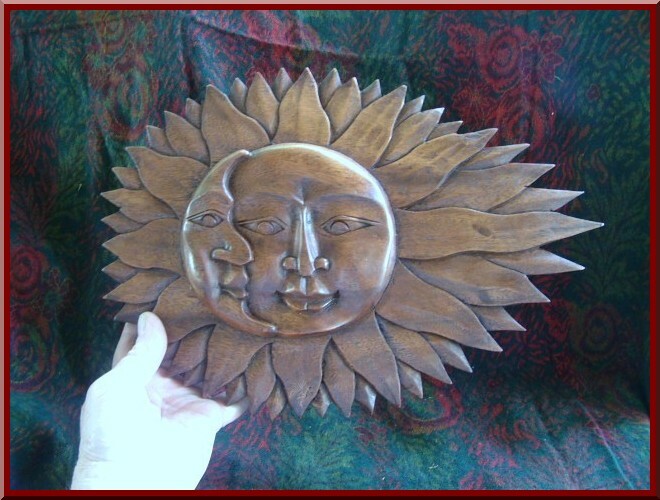 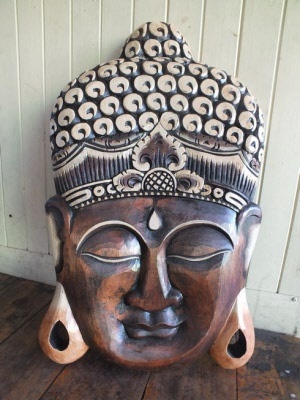 Nice and large this beautiful Buddha face wall plaque will add some peace to your home. 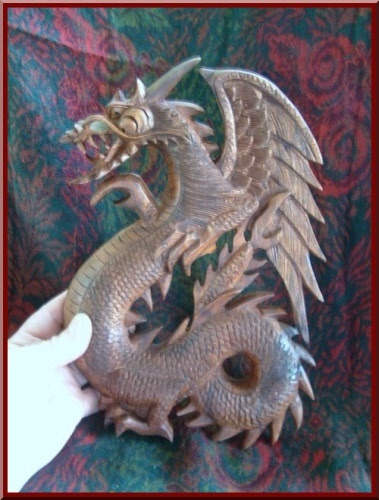 Made from one piece of wood - expertly carved. Can be posted within Australia. We will send you a quote once your order has been received. 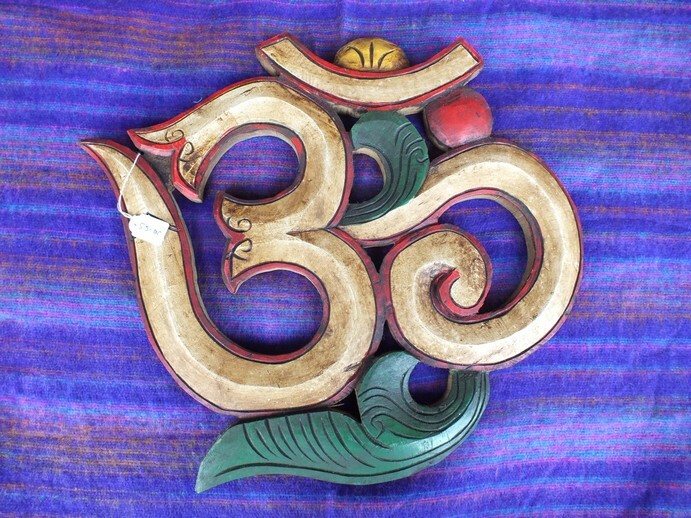 The Chukor symbolizes the interlocking of the different elements and directions. 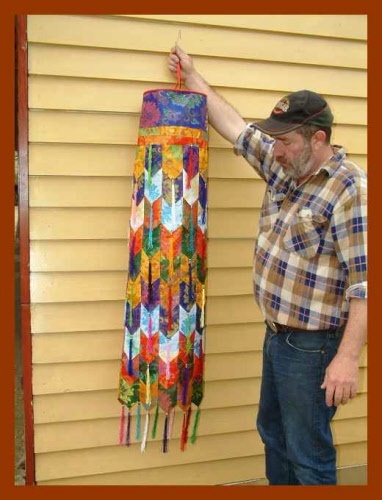 This brocade Chukor banner is tubular shaped with brightly coloured fabric and tassles. 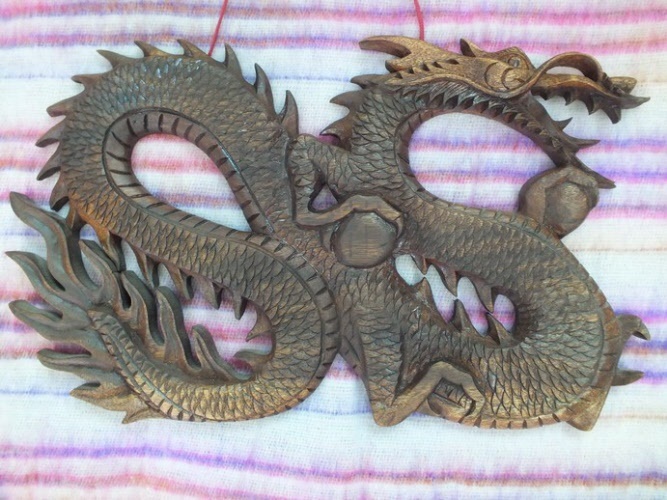 Chukor are usually hanging from the ceiling as a home decoration or for shrine area and Temples. 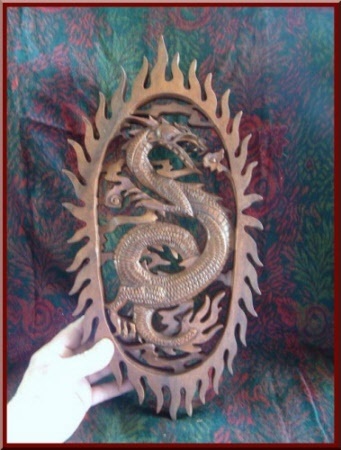 Brocade and silk fabric with loop at top to hang it. 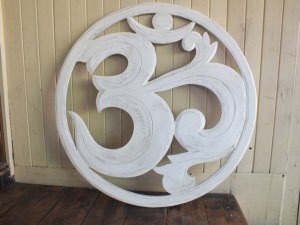 The Sanskrit Om / the original sound in the Universe. 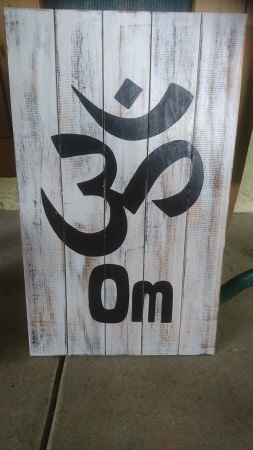 Painted on thes palings and joined together so you can hang outside or inside your home. just order and we will get back to you with postage cost to your area for your approval. 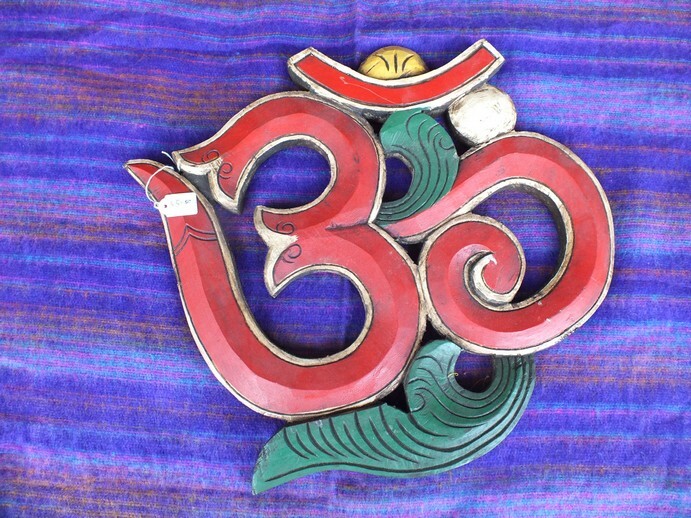 No money is deducted from your card until you approve postage. 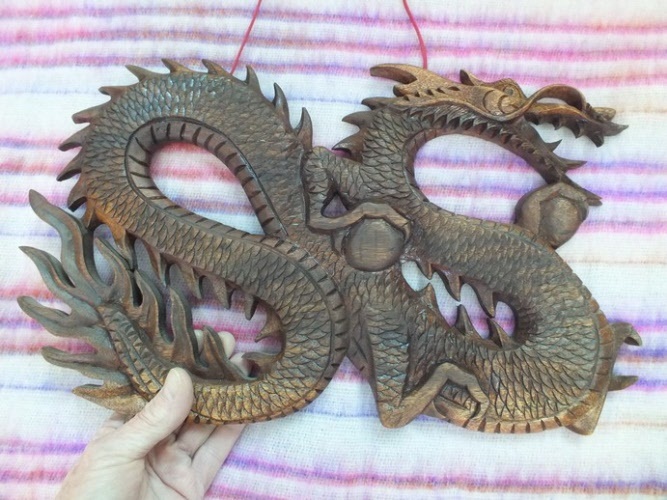 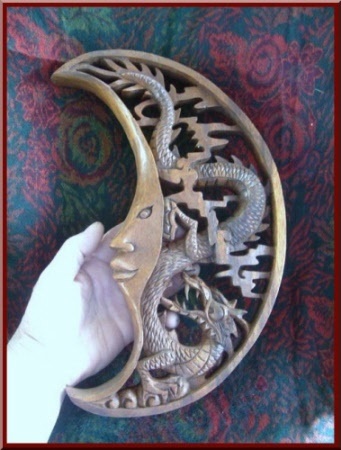 Very unique and individual carvings / wall plaques. 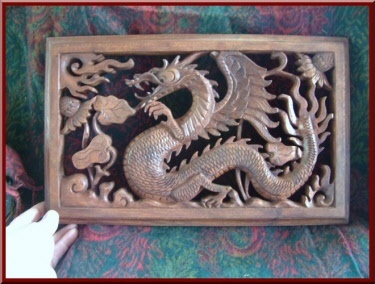 Carved by master carvers on the Tropical Island paradise of Bali. This one is the Sun and Moon together. 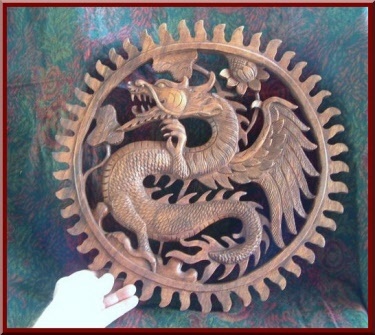 As pictured Dragon holding two balls. 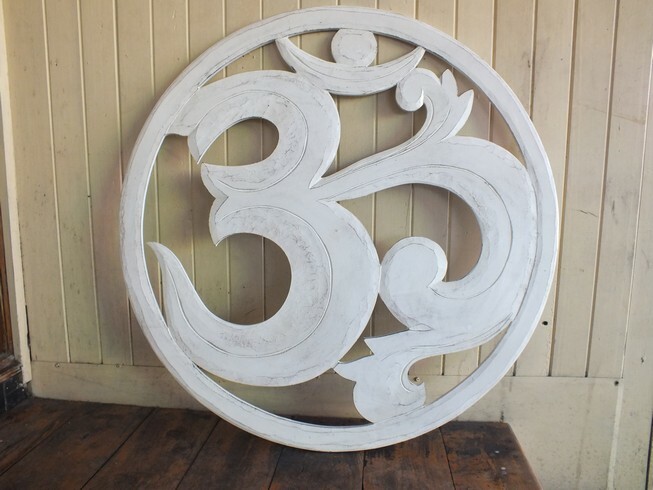 Measures 41 x 28 centimetres. 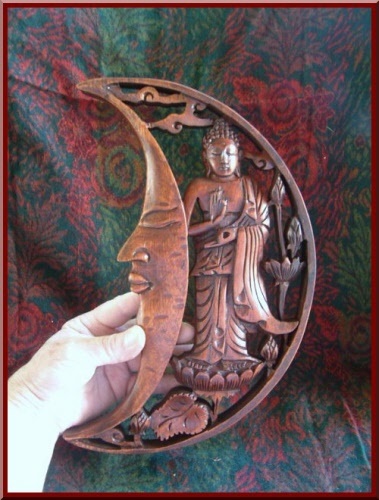 As pictured this wall plaque has the moon with Buddha. 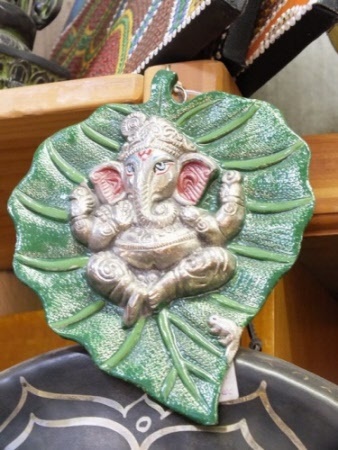 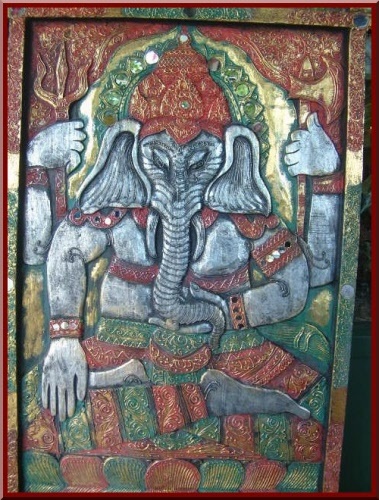 As pictured great Ganesha on a lotus inside flaming oval. 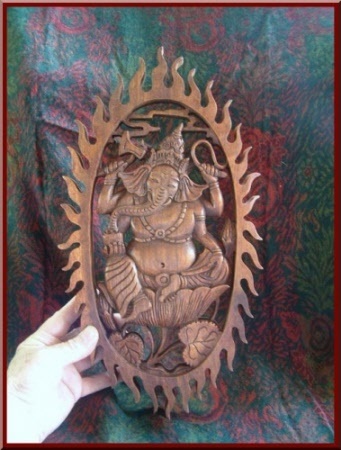 Fantastic Ganesha carved from wood. A flat piece of wall art to hang in your home. 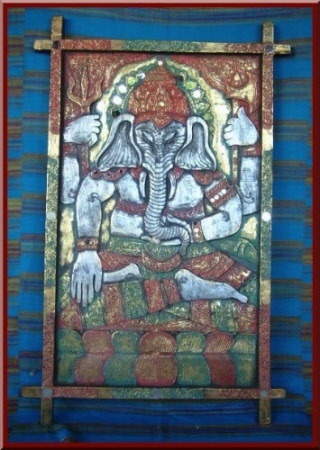 Very colourful and vibrant also decorated with mirrors. Carved in the Ubud Mountain district on the tropical island paradise of Bali.